June – busy for a number of reasons that I’ve mentioned already. Add in a trip to London to watch Richard Armitage in The Crucible – good, if a bit arty, but a warning that it’s nearly four hours long and the seats were like sitting in an expensive mousetrap would have been nice – exam season, builders… Not a good month for reading. Which is a shame because I’ve been rather deluged with review requests. Five out of the six books that I read were review copies of new releases and re-releases and one of the other reasons for the lack of reading was my attempt to push through another book that had been sent to me which I just couldn’t get interested in. As ever, no names – I’m sure it’ll appeal to the right reader. 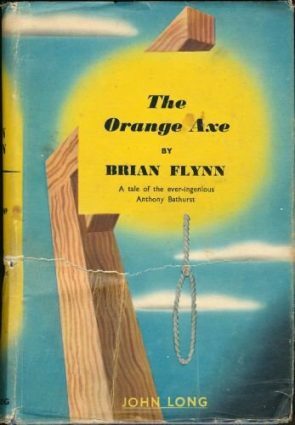 By the way, I’m not counting The Dead Side Of The Mic (whereas I did count The Axeman Cometh) because it’s an adaptation of a book rather than an original story. Those are the rules, which, admittedly, I made up. We can eliminate a few. One is too soap opera-y for my tastes, one has a bizarre second half that spoils the potential of the first and one lets itself down too much by relying on coincidence to unmask the killer, not that he really needed much unmasking anyway. 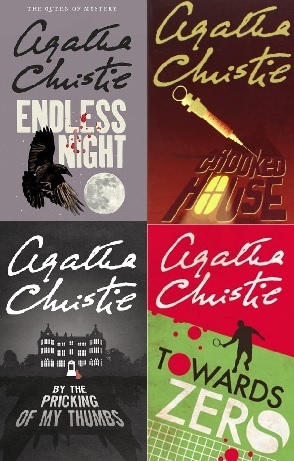 And one, by one of my current favourite authors just wasn’t quite as good as some of the other books in the series. So it comes down to Roseblood and The Red Right Hand. And I know I’m supposed to go for the second one, but one aspect of the plot annoyed me. A red herring is oversold so heavily that I became convinced that this was what was happening and basically switched off. Now I know that there’s much more to it than that, but it spoiled my reading of it. That’s just me, possibly, but it happened. So Roseblood – the opening of a trilogy set at the outbreak of the Wars Of The Roses – wins the Puzzly, although it’s not really a mystery. A cracking read for all fans of historical intrigue. A few more new books to review soon and then we’ll be back on the old favourites. Keep reading! That cover for Roseblood is very attractive. I saw the Michael Jecks in the list and reread your review. I have discovered I have the first in that series (somewhere, I just have to find it). It sounds like I should sample that series. The first suffers just a little from the amount of set up, but is still a strong read. It really kicks in with the third one, I’d say, but the first two were good enough to get me to the third one.